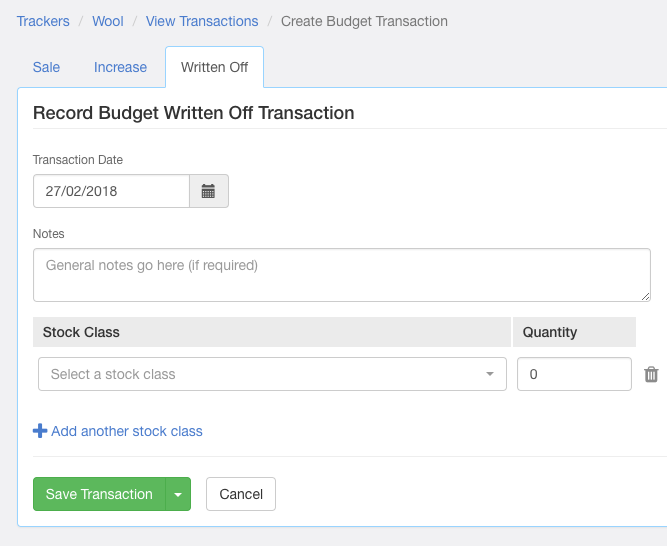 Written off wool on hand can be entered into your wool tracker from the main screen of the production tracker. The option to do this can be found under Add Transaction, either as an actual, budget, or forecast. To write off wool on hand, you'll need a date, a stock class, and a quantity. Notes or a description can be added if you wish. Once the details have been filled out, you can click Save Transaction. This will then flow through to your tracker and reports.